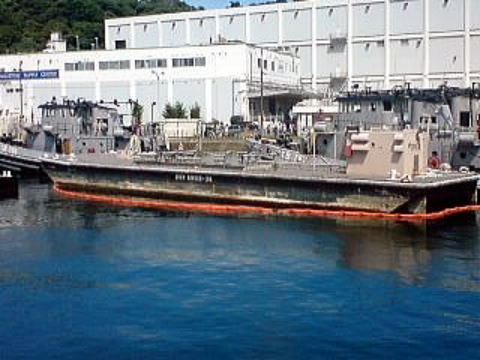 ↑SWOB 36 at the U.S. Fleet Activities Yokosuka, on 6 August 2011. Photo by VANDY-1. SWOB = Ship Waste Oil Barge. Carry liquid wastes from shipboard holding tanks to shore treatment stations. SWOBs 1 through 42 and 56 through 60 were configured as oil-waste barges, while SWOBs 43 through 55 carry sewage to shore processing facilities. 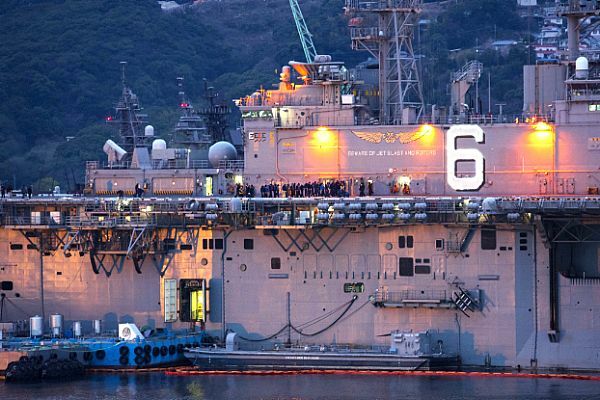 Are considered to be "equipment" and are assigned to local Navy Facilities Engineering Command organizations. SWOB 4, 14, 20-22, 39, 40, 45, 49, 50 and 55-59 have been discarded. The "WE" in the serial number indicates SWOB, the next two numbers (01 or 10) the function (human waste ar waste-oil collection), and the last three numbers the sequential construction number for the craft (001 through 060). Waste-oil barges carry up to 77,000 gallons in four tanks. SWOB nos. 4-10 and 49, and 50 have been retired.